Dr. Wong's Women's Fibrosis Protocol! Dr. Wong's Notes: Enzymes to lyse (eat away) the fibrosis found in these conditions. The herbs to lower estrogen dominance with the progesterone to control estrogen dominance. 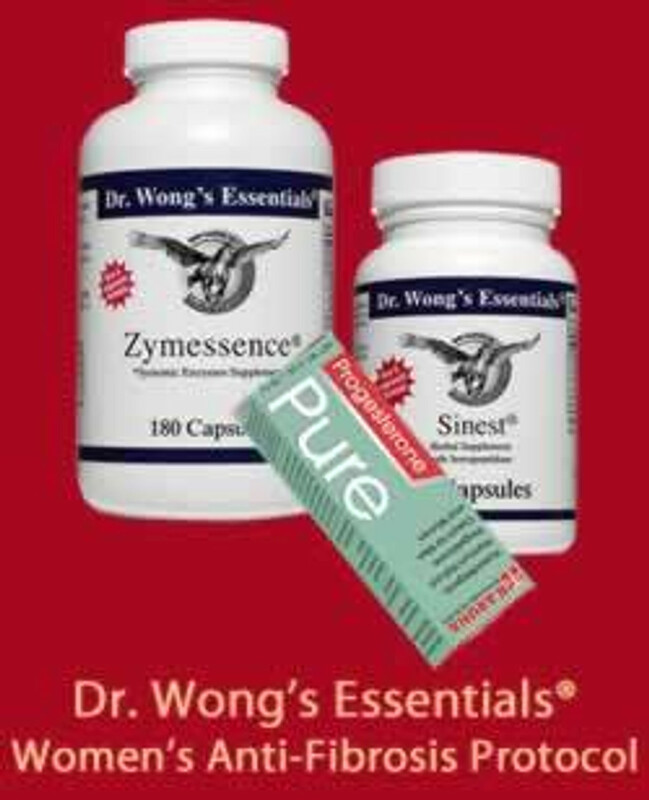 Zymessence®: 1 or 2 capsules taken in between meals 3 times daily. Karuna Pure Progesterone: 1 application daily as per insert instructions. Sinest®: 2 capsules before bed daily.